Agency client Jasmine Birtles features in a new online documentary about passive investing. The documentary, Passive Investing: The Evidence the Fund Management Industry Would Prefer You Not To See is described as a “remarkable 54-minute film” featuring some of the world’s top economists and academics. 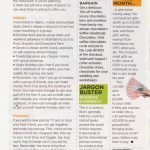 The documentary, which features MoneyMagpie.com founder Jasmine Birtles, can be seen here.